Sungchul Hong embraces modern technologies and various media within his work. 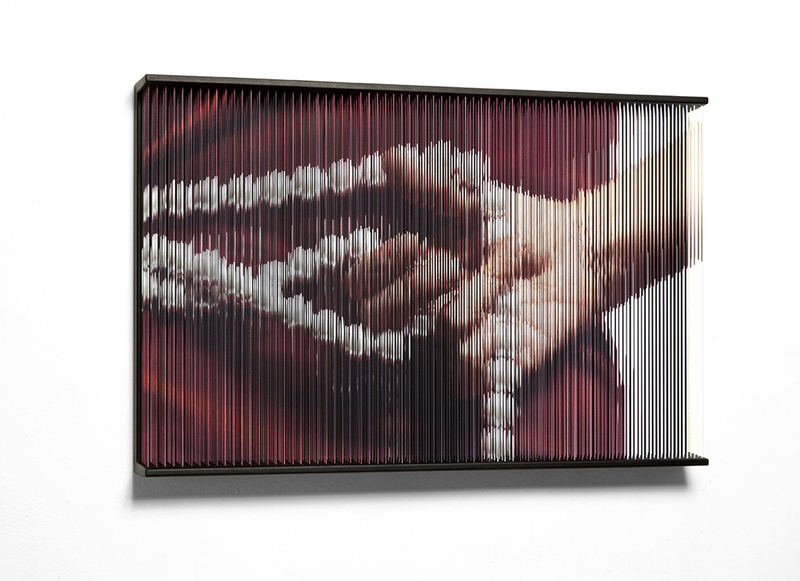 Evolving from an earlier series using strings, he now involves numerous staggered elastic bands upon which the imagery is printed. This layered approach communicates his unique concept of visual consciousness. They are a visual representation of what ties humans together from the earliest stage of life. 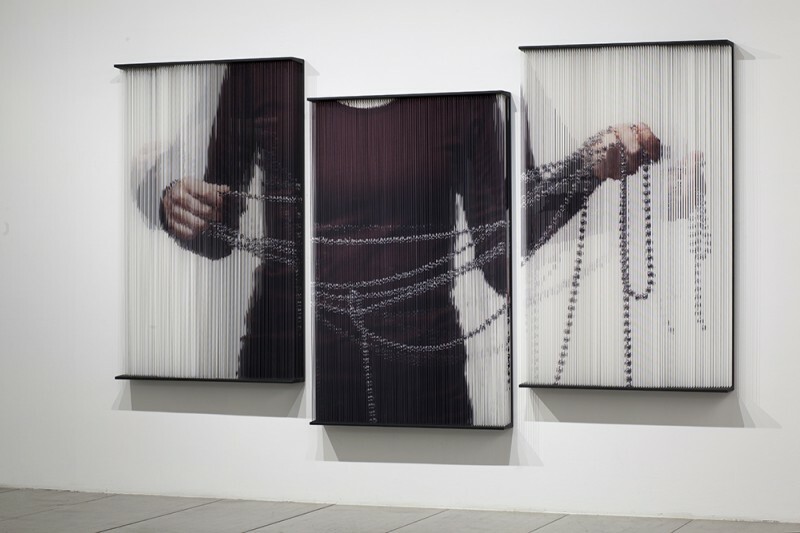 Communicating the deep desire for human contact within society, his works never fully reveal themselves intially and exude a ghostly quality whereby the visual sense is questioned. The viewer must abandon reliance on their eyes alone and use their bodies and to prompt cooperation with the work. 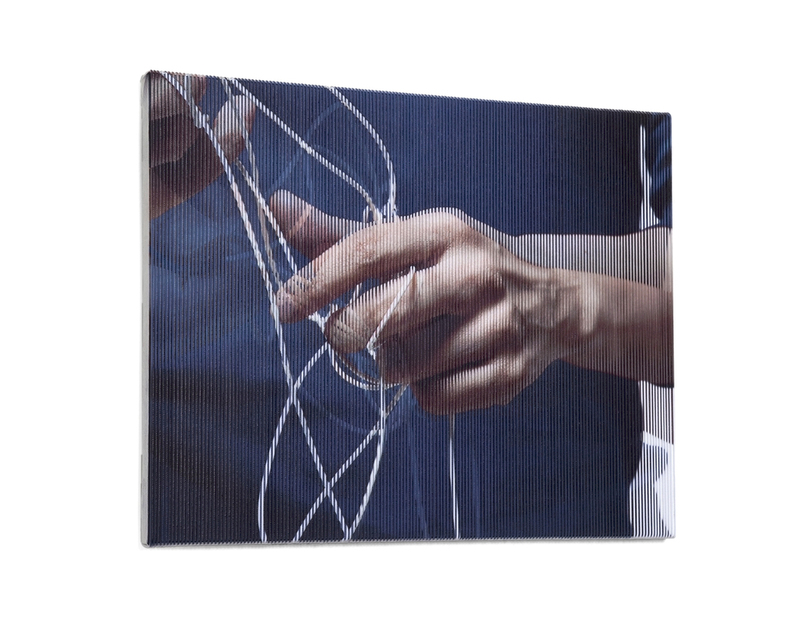 These staggered strings interlace to reveal a final representation - one of support, or loneliness. The broken images interlace and transform to reveal a final image, incomplete until the dynamic interaction occurs with the viewer. Through these engaging three-dimensional works, Sungchul Hong attempts to unveil the virtual object through his use of distorted and fragmented imagery resulting in stunning visual effects.